"Serviced by Anglers for Anglers"
At Coast Tackle we strive to return your reels to you in as good or better than new condition. All reels are broken down to the frame and each part inspected for wear and replaced if needed. They are then cleaned in a biodegrable,safe solution at 150 degrees in an Ultrasonic Cleaner to remove even the most minute debris, dirt and old grease. The reels are then correctly lubed, tuned and tested using only the finest lubricants such as Reel X, TS-321, Super Lube and Cal's drag grease. They are then spin tested and all operation checked before we return them to you. 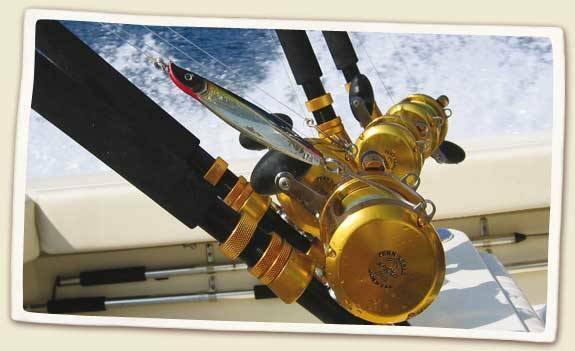 All repairs are warranted by Coast Tackle for 90 Days including replaced parts and labor. Shimano, Okuma, Lew's, Diawa, Van-Stahl, Abu Garcia, Quantum, and Penn Reels. Please do not send us any off-brand tackle, due to parts availability we do not work on Shakespeare, Ryobi, Silstar, Pinnacle, Mitchell, Pflueger, or any other manufacturer not listed above. We carry Boccas Bearings Ceramic Lightning (ABEC 5 ) Hybrid Ceramic Bearings for all of our bearing replacements and Bocca Ceramic Hybrid ABEC 7 Bearings for our Reel upgrades. We stock Smooth Drag's Extreme Smoothies and Carbontex Drags for all our Drag Replacements and upgrades. Regardless of the type of fishing you do, we can accomodate your needs. We handle inshore and offshore reels as well as high performance Bass and Walleye reels. We lube, tune and protect them for the type of angling you do. Custom upgrades and Tuning available on all low profile and 4000-6000 size reels. Rates for Okuma, Diawa, Quantum and others fall under the same pricing level as Shimano Reel Service. Otherwise the return shipping charge for Reels is $6.95 for the 1st reel plus $1.00 for each additional Reel. Tackle, parts and accessories will be shipped the cheapest possible way and you will only be charged the actual cost. It will NOT cost you $10.00 for a 50 cent part at CTS. Now Accepting Visa, MC or Discover direct Paypal only. Upon completion of repairs we will send you an invoice by email to be paid through Pay Pal electronic Services. Upon Payment confirmation we will ship out your equipment and email you a Tracking and confirmation number. Please fill out the form at the below link,print it and enclose it in your package when shipping. Prices plus PennMSRP parts pricing as needed. Coast Tackle Carries an extensive supply of parts in stock but we do not sell just parts. These parts are for in house repairs only. We do sell upgrade bearings and drag upgrades for your reels and many different lubricants.